In a major boost to transparency in private schools, the Chief Information has ruled that private schools governed by laws like the Delhi Education Act will also be governed by provisions of the Right To Information Act, 2005. In the significant decision, Ms. Sadhana Dixit Vs. Directorate Of Education, the Central Information Commission (CIC) ruled that private schools cannot deny to provide information on service records and salaries. The Appellant an ex-employee of Jindal Public School under the Directorate of Education hadfiled an RTI seeking a certified copy of service book, copies of her appointment letter issued by Jindal Public School and staff statements of all the employees. The Directorate of Education provided all the information available with them but the school did not share any of the information asked by the appellant on the grounds that the RTI Act did not apply to a private institution. The Commissioner also noted that, “Under Right to Education Act 2009 also, the recognized school is under an obligation to appoint eligible teachers and provide them with prescribed wages. This also reveals that it has given inherent Right to Information to the teachers from their employers.”The Commissioner then directed the school to furnish the information sought by the appellant under the lawto the Directorate of Education who in turn would provide it to the appellant. This decision by the Information Commission will now ensure transparency in the service records of teachers and other staff among private schools governed by the Delhi Education Act. 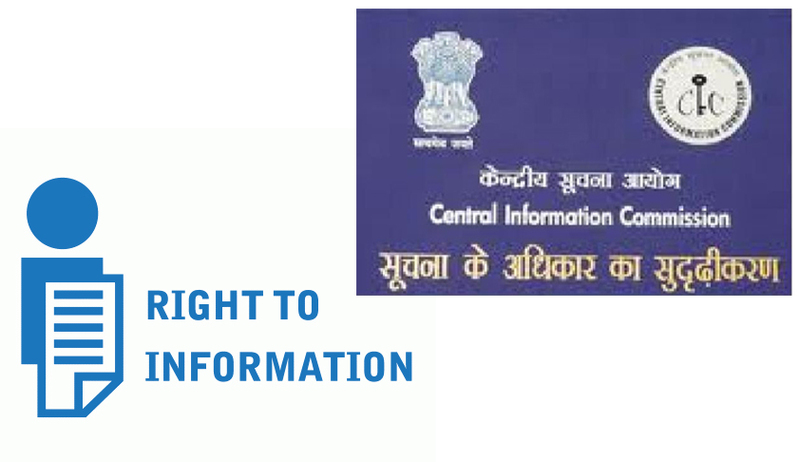 Legal News India, RTI Act, RTI News, Decision of CIC.